it's t-shirt makeover Monday again! If you enjoyed the last makeover tutorial, you'll definitely love this one. 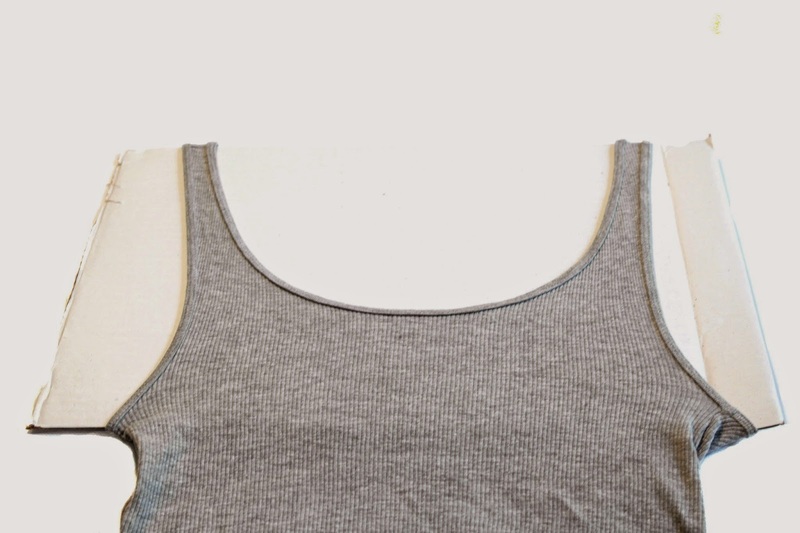 It adds so much style to every old shirt! 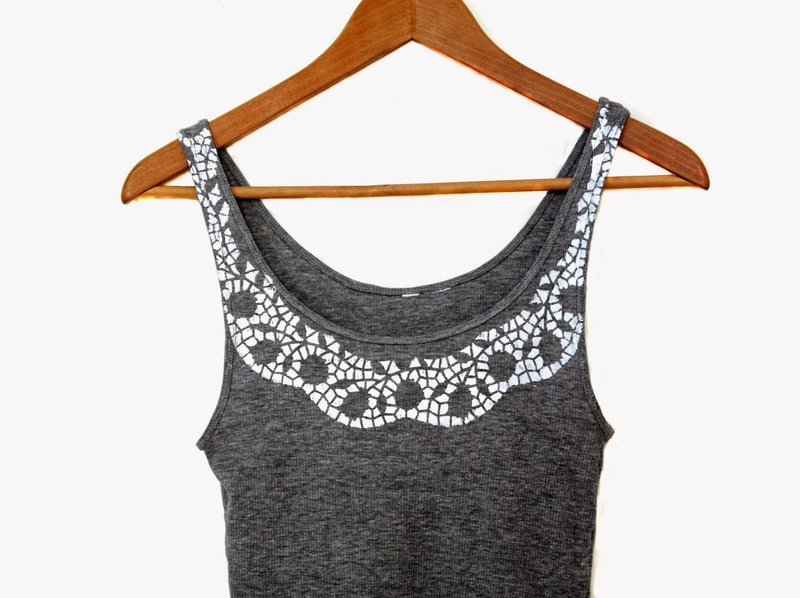 It makes a lot of fun to combine things you wouldn't think of at first, like paper lace doily and shirts. But see for yourself! Put the cardboard in between the top. 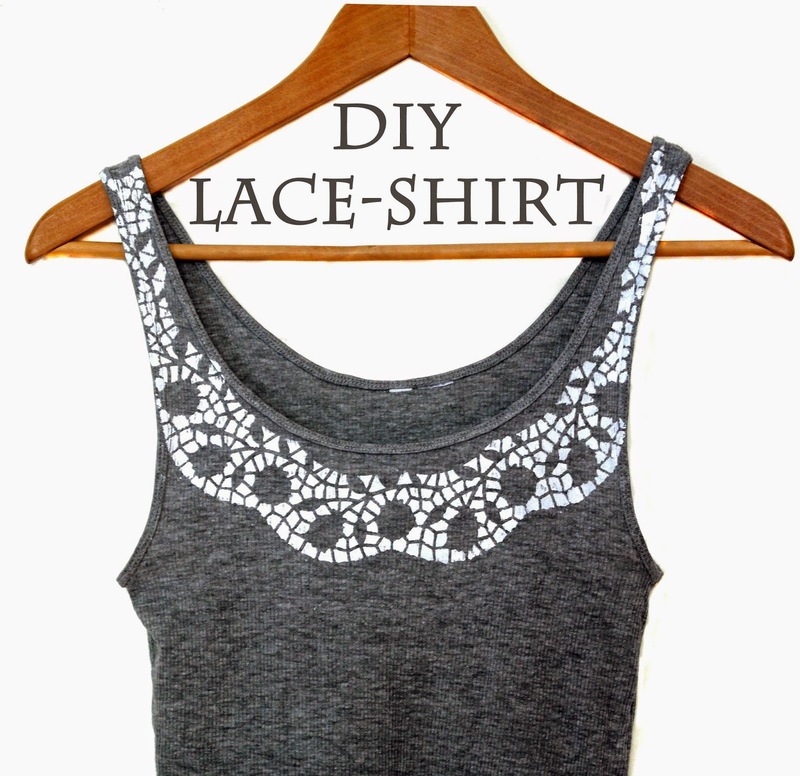 Carefully pin the paper lace doily onto the neckline of the shirt. 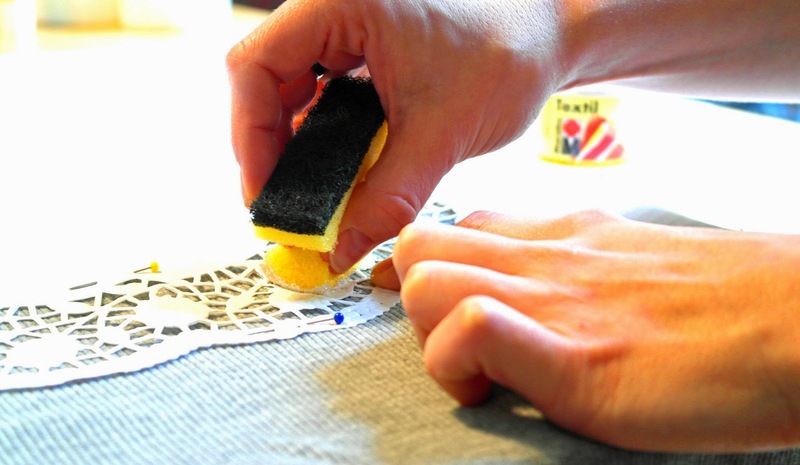 Press the doily down and apply the textil paint with the sponge. This takes a while, but it is totally worth the effort to work slowly. 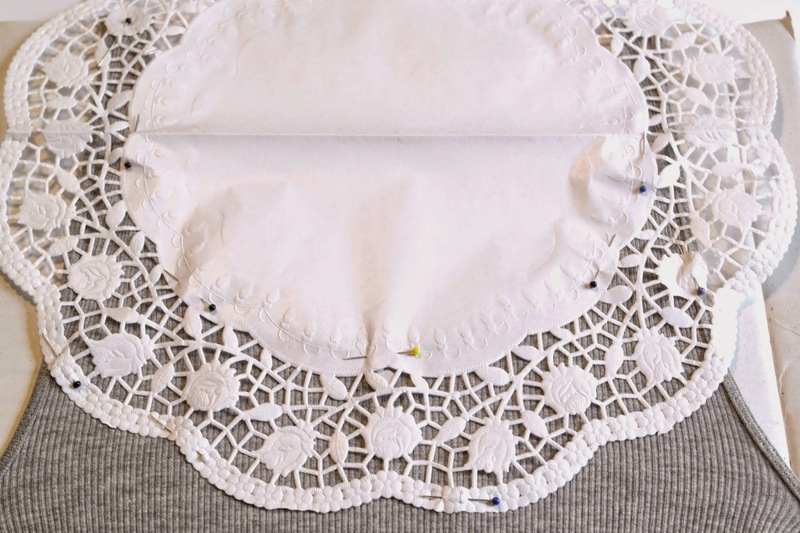 When you've applied paint all around the neckline, let it dry for a couple of minutes, then carefully pull off the doily. Fix the paint according to the instructions of your textile paint. You might need to wash it or, as in my case, iron it for 3 minutes at cotton wool temperature.That was all! Watch out for our next makeover tutorial coming soon!